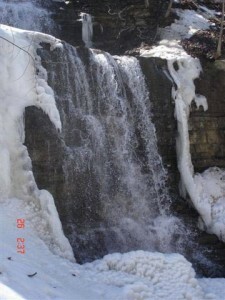 Scenic Falls is a Terraced Ribbon Cascade measuring 20 metres (66 feet) in height. 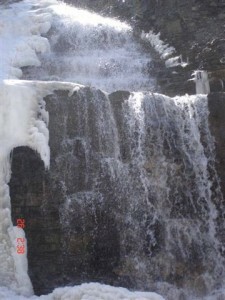 It experiences impressive flow after rainfalls and the winter snow melt. 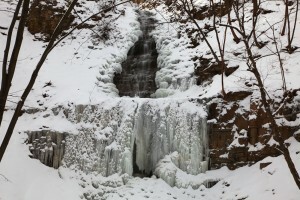 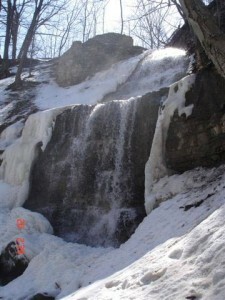 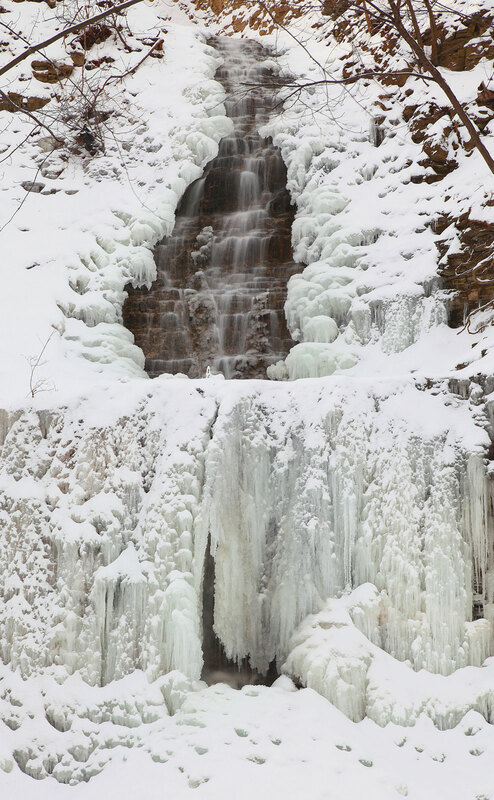 Scenic Falls is most likely named after the nearby Scenic Drive, aptly named for its “scenic” location along the top of the escarpment overlooking the city of Hamilton. 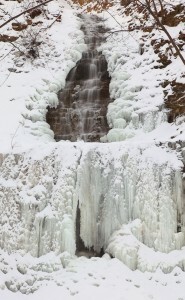 There appears to be remains of some manmade structures at this waterfall, however further research is required. 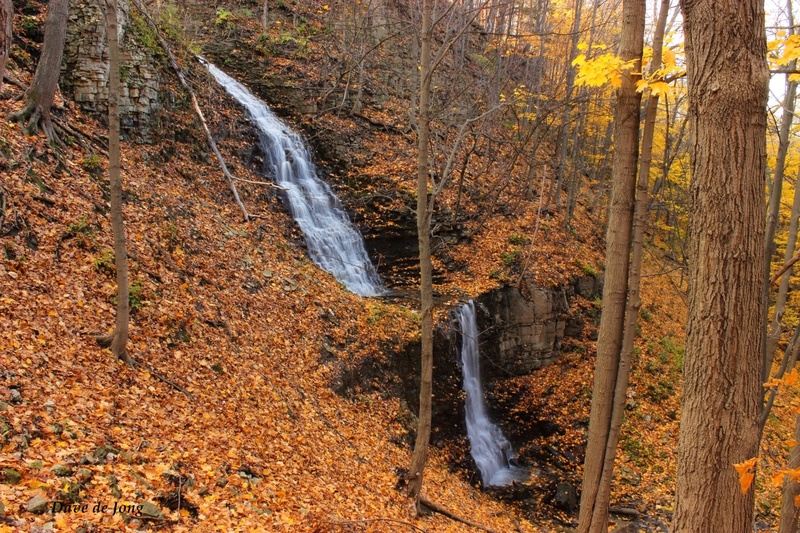 Scenic Falls is also featured on the Joe Hollick poster “Waterfalls of Hamilton Autumn”. 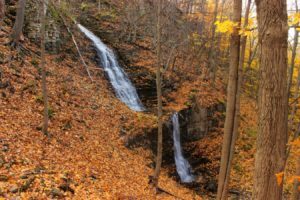 To reach Scenic Falls, travel east on the Lincoln Alexander Parkway, exit on Mohawk Road West, and proceed to Scenic Drive. Turn left onto Scenic Drive and travel for 1.5 km until you find a small parking lot just past the 90 degree bend in the road on the mountain brow on the left side. Look for the entrance to the Chedoke Radial Trail/Bruce Trail, then follow the combined trails west for 5 to 10 minutes to the first ravine. 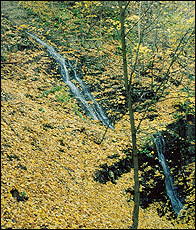 Scenic Falls is to the right of the trail. 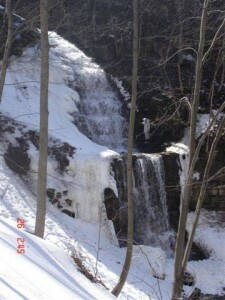 It is located at the edge of the Iroquoia Heights Conservation Area.